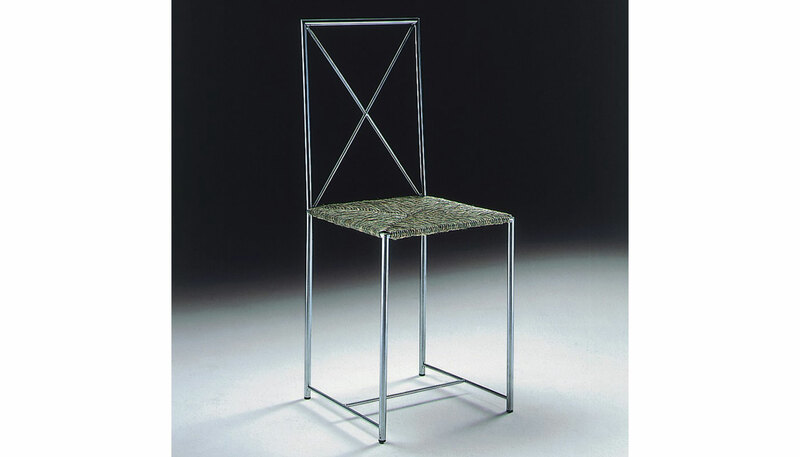 The Moka chair is lacquered metal in white, black or aluminum. Seat is fiber cord or leather in the following colors: black, Russian red, white, olive, dark brown, extra dark brown, gray, sand and tobacco. Price includes shipping to the USA. Manufactured by Flexform.